Marcus David graduated in Economics from UFJF in 1988. A few years later, he joined the university again as technical-administrative staff. In 1997, he began his career as a professor at the School of Business and Economics (FEA). He holds a Master’s degree in Business Administration from the Federal University of Rio de Janeiro (UFRJ) and a PhD from the Federal University of Lavras (UFLA). At UFJF, Marcus David has experience as Provost of Administration, Provost of Finance and Control, Financial Director and also Chairman of the Board of Directors of the Foundation for Support and Development of Teaching, Research and Extension (FADEPE). He also served as head of the Department of Finance and Control and Director of the School of Business and Accounting Sciences. 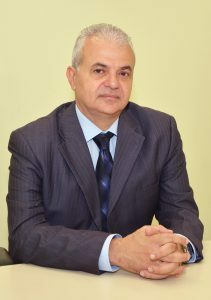 He is currently an Associate Professor in the Finance and Control Department of the same School and also permanent faculty of the Professional Master’s Program of Management and Assessment of Public Education at UFJF. He also holds a degree in Law and has experience in Public Management. Graduated in Nursing at the Federal University of Piauí (UFPI), she holds a Masters Degree in Nursing at the Anna Nery / Federal University of Rio de Janeiro (UFRJ) Nursing School and a Sandwich PhD from the Sao Paulo University (USP) Nursing School and the Laboratoire de Psycologie Sociale of the École de Hautes Études en Sciences Sociales in Paris (France). In 2009, she conducted her postdoctoral studies at the Rio de Janeiro State University Institute of Social Medicine. 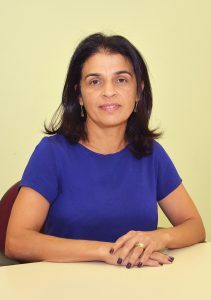 She joined UFJF in 1997 as a professor in the Department of Applied Nursing at the Faculty of Nursing. Her undergraduate nursing teaching activities are conducted mainly in the University Hospital. In the graduate level, she works as a professor in the Master’s in Nursing and in the Master’s and Ph.D. in Public Health Programs at the Faculty of Medicine. She also served as Head of the Department of Applied Nursing and Director of the Faculty of Nursing (2010-2014). Her experience in the health area is linked to HIV / AIDS patient care, hospital infection control, health education, health policy, nursing theories, theory of social representations and the qualitative approach in health research.